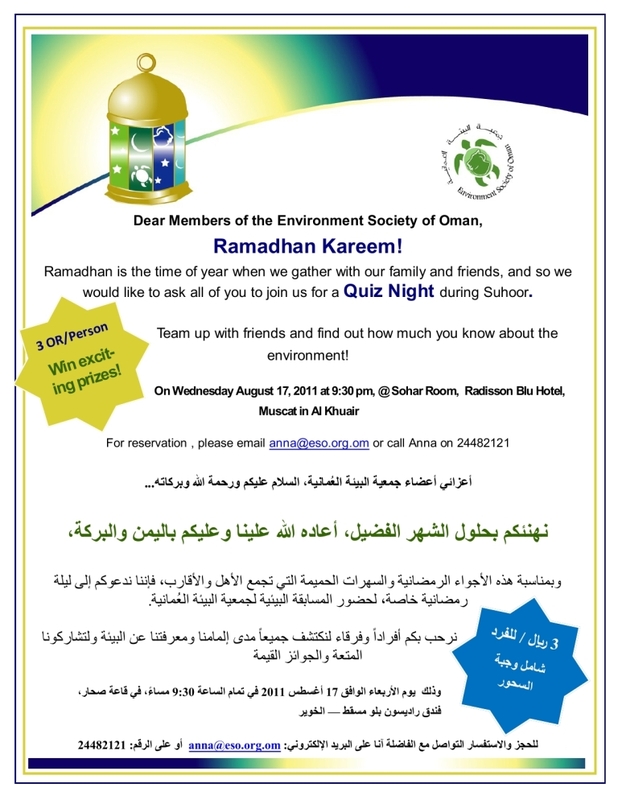 Tonight, the Environmental Society of Oman is having a quiz night at The Radisson Blu in Khuwair from 9:30pm - there are lots of prizes to be won and there is a fee of RO 3.000 per person to enter. It's for a good cause so if you are free tonight, why not go and check it out! The question is, will they re-brand it TGI Wednesdays?? Oh, and god help us is the other thing!! Surely the question for most of your readers is whether it's with or without booze. In Dubai they have one of each if I'm not mistaken...which way are they going in Oman? Tacky cocktail bar or family franchise? I suspect it's booze free. Helpfully, Masafi is known to come in a Magic variety. i'm quite sure all TGI Friday locations in Dubai are alcohol free whereas the ones in Cairo serve alcohol. And all of them, including the one opening in Oman are owned by Kuwait's Americana who already operate KFC and Hardees in Oman. I had an email from someone who didnt want to leave a comment - they pointed out that the hotel is very close to a mosque - so it will not have a license. Grand Hyatt has a mosque INSIDE!